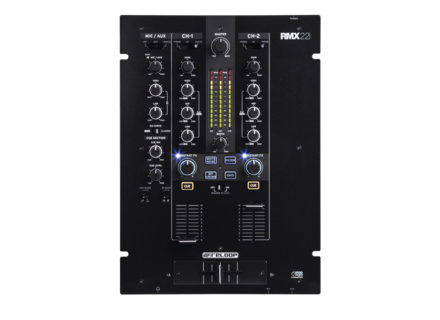 RMX-22I, 2-Channel Mixer from Reloop. 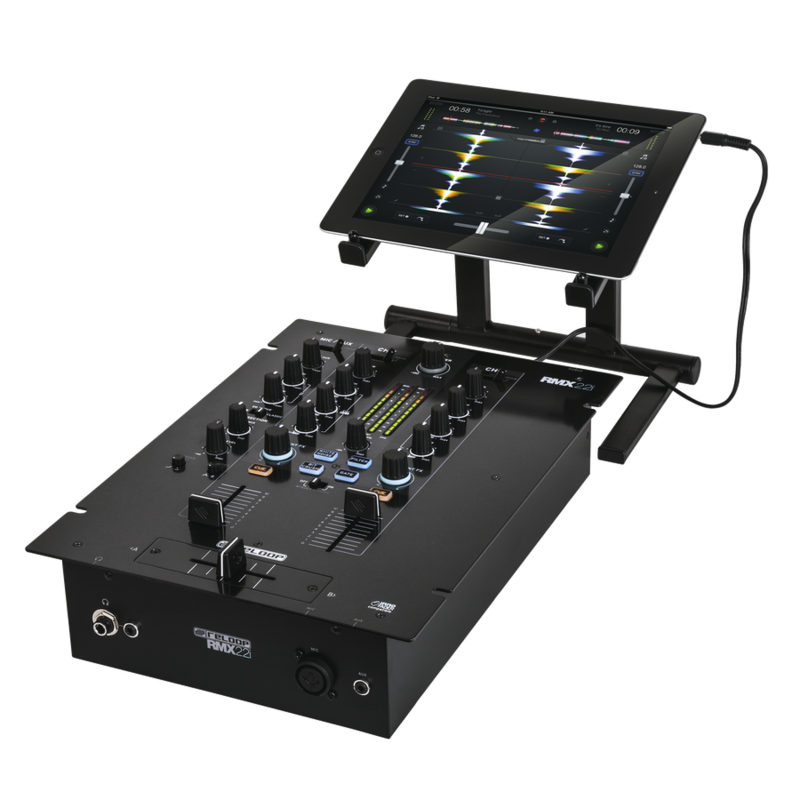 The new Reloop RMX-22i and RMX-33i feature 2+1 and 3+1 channels respectivement as well as an 1/8” Split input on the rear that allows for connecting an iPad, an Android tablet or a smartphone. 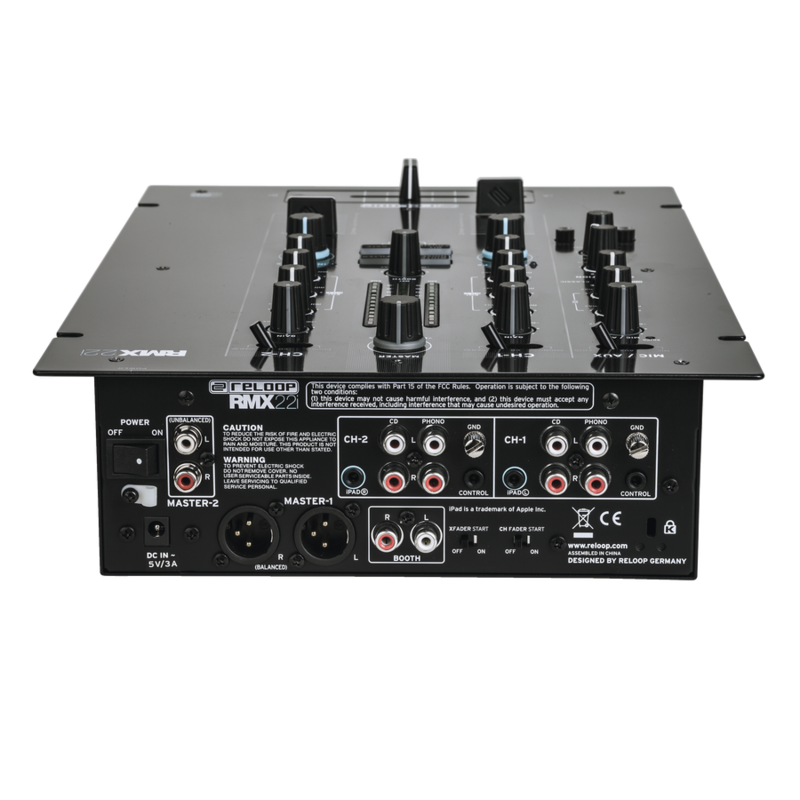 The iPad Split cable provided divides the audio signal into two mono channels or you can use it to get an additional stereo output. 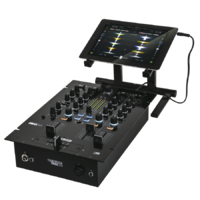 DJs can then either use the split-cue feature available on certain apps such as DJay or mix the stereo audio of your apps. 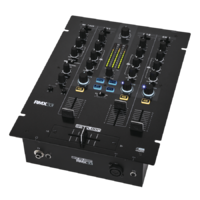 Both mixers include four Sound Color digital effects, each with its button so that you can add white noise, filter (high- or low-pass), bit crusher and gate in real time. 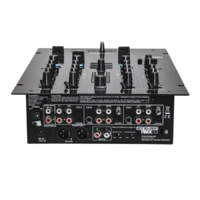 These effects are modulated via an Instant FX knob. 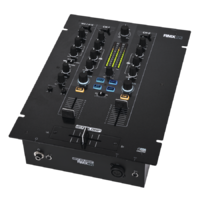 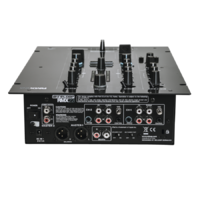 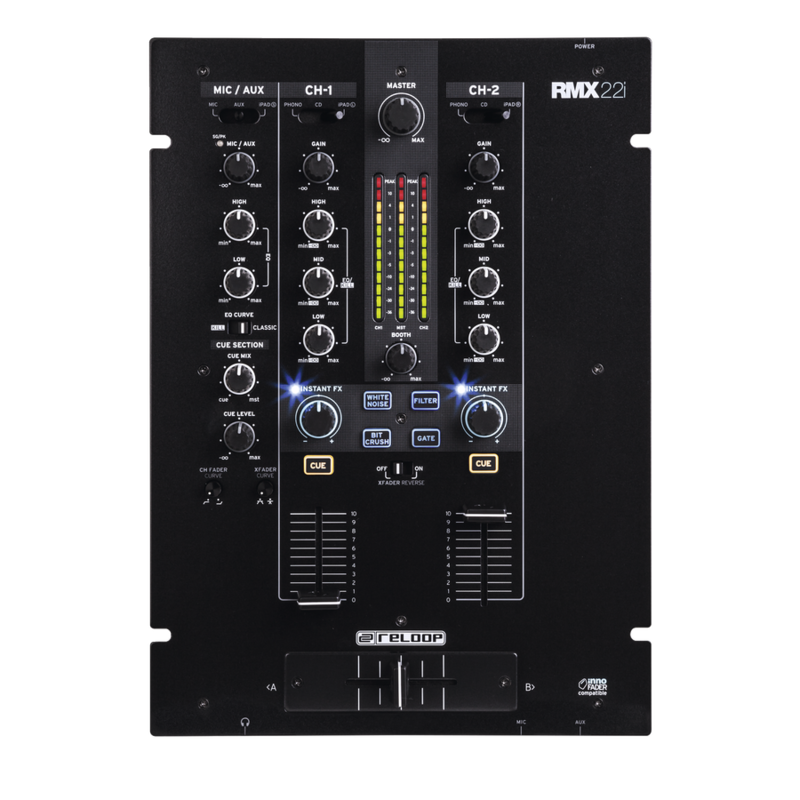 Other controls on the Reloop RMX-22i and RMX-33i also include a 3-band EQ with kill, an Innofader-compatible crossfader, Fader Start, Reverb and curves for the 45mm faders and crossfader. 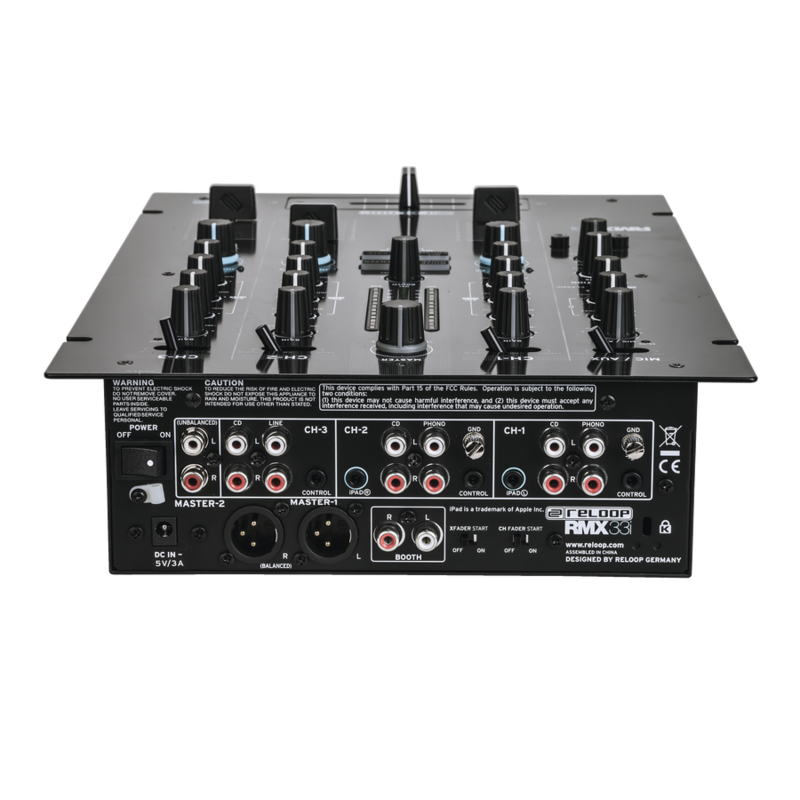 The connection panel features a mic input with 2-band EQ, two 1/4” and 1/8” headphone outputs, balanced XLR and unbalanced RCA outputs as well as phono and line inputs. 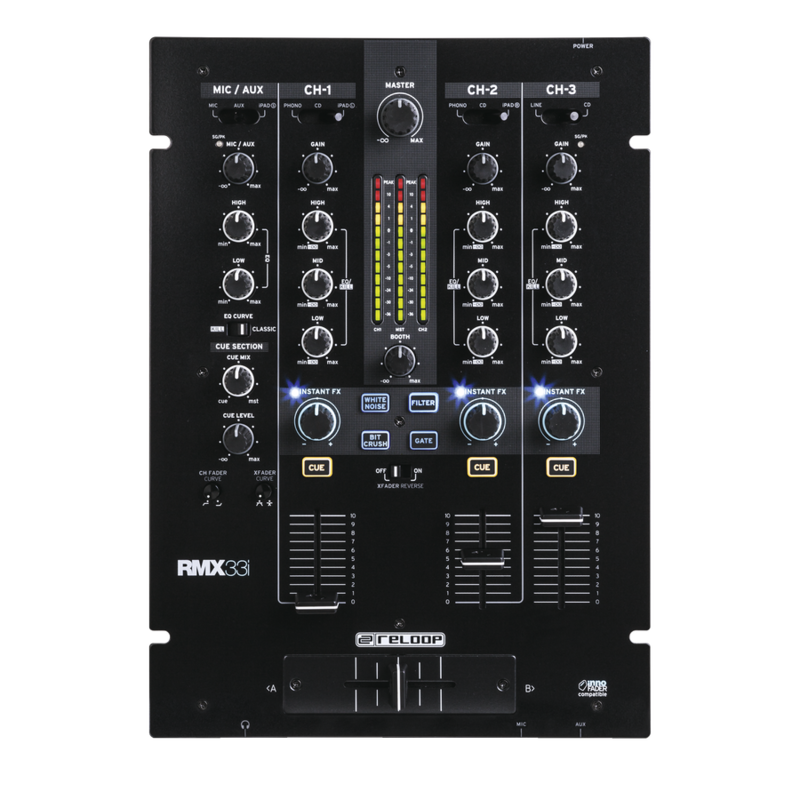 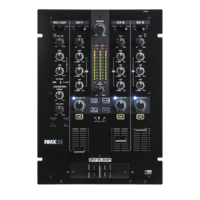 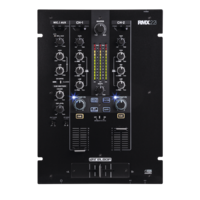 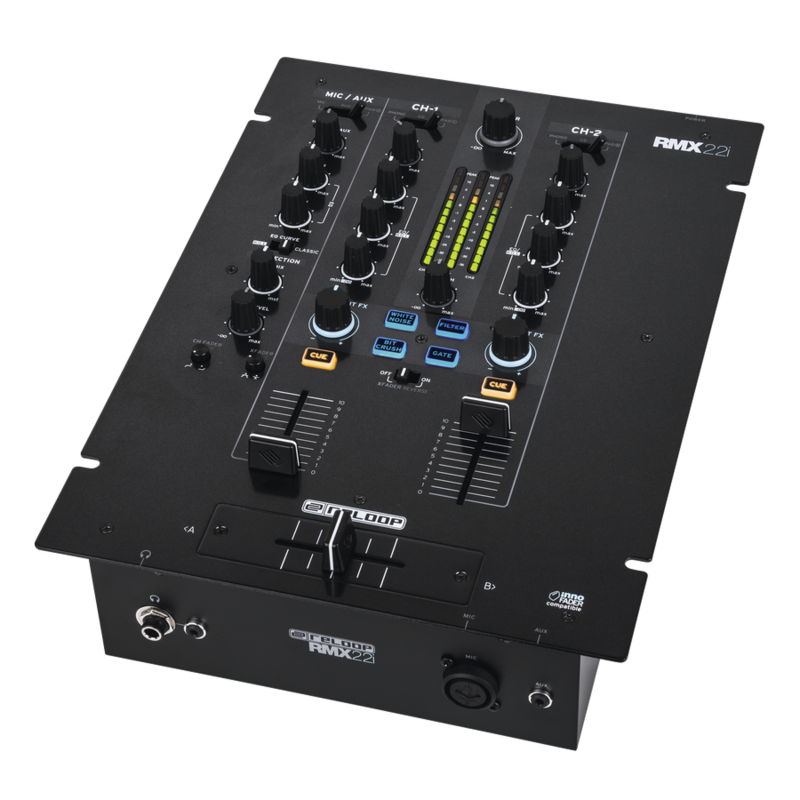 The price of the RMX-22i is 249 €, the RMX-33i is available for 299 €. 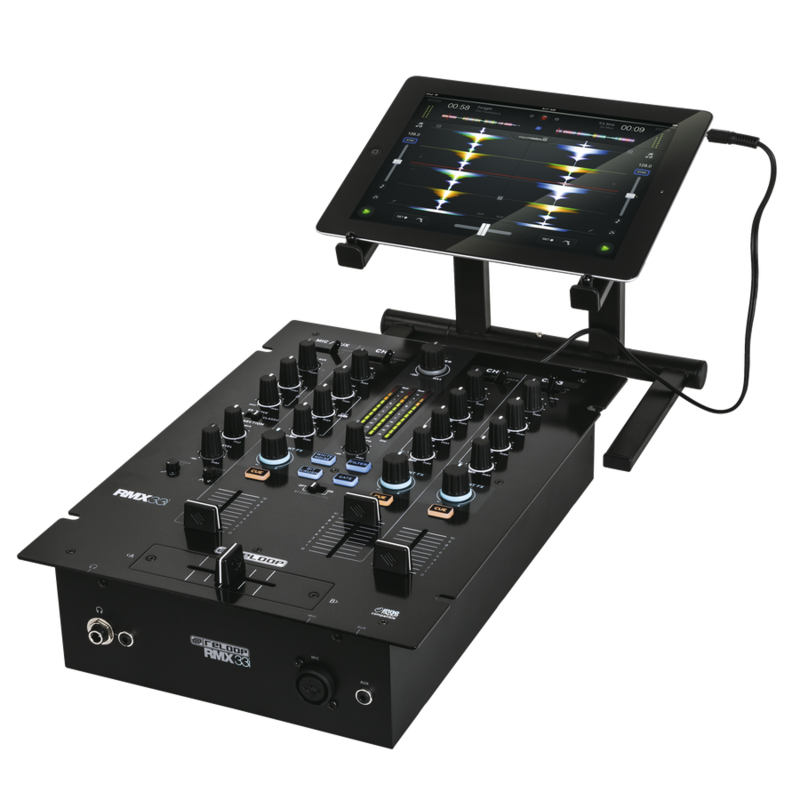 [Musikmesse] Reloop introduces BeatPad 2 Reloop improved its BeatPad MIDI controller for DJ in a version 2 equipped with drum pads, and compatible with iOS, Android and Mac/PC. 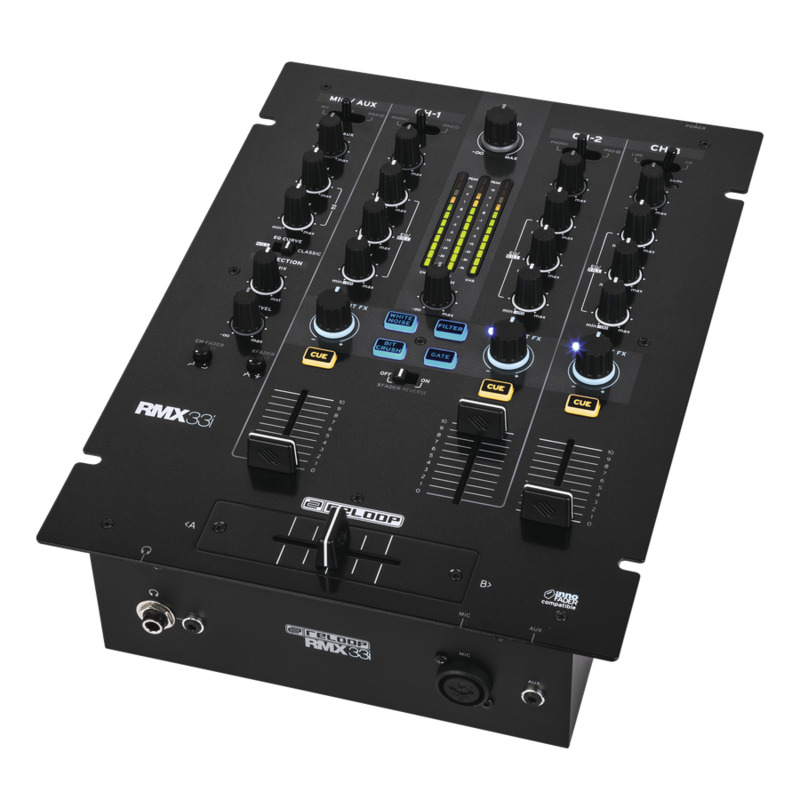 The NI Traktor Kontrol D2 officially introduced A few days after the WMC 2015 Miami, Native Instruments officially introduces the Traktor Kontrol D2 as well as its new Stem audio format. 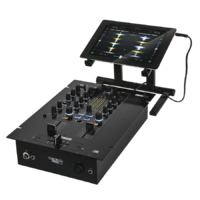 Drawmer announces the EDeMulator pedal Drawmer will open today pre-orders for EDeMulator, its first effect pedal designed specifically for DJs.